Today’s worship leaders are responsible for developing a theological base and biblical understanding of worship for those they lead. Liberty University’s Master of Arts in Religion – Worship online degree program is designed to equip worship leaders to better serve the church as skilled, passionate leaders of worship. This specialized program allows you to study and practice context-specific biblical and theological competencies in worship. The Master of Arts in Religion – Worship’s customizable and flexible 100% online degree format allows for your educational needs to be met without compromising your daily living. Course materials within the online Masters in Religion – Worship area of study teaches students to minister in a variety of evangelical worship cultures with skills and expertise. Why Choose Liberty’s Master of Arts in Religion – Worship Online Program? The Master of Arts in Religion – Worship online degree program is designed to give you intensive study of the Scriptures and the essential truths of the Christian message relating to worship contexts. Worship classes are taught by seasoned professors with years of experience in both church and worship ministry applications. Through obtaining a Master’s Degree in Religion – Worship area of study, you will become a valuable asset to your church with knowledge gained in ministry foundations and an understanding of what it means to be a biblically-based worship leader. Liberty University seeks to prepare you for ministry roles through advanced training and methods of teaching. We seek to enhance the online student experience while increasing quality of education. Students enrolled in the Master of Arts in Religion – Worship area of study will be challenged to develop holistic skills and techniques to lead church worship effectively. Our Master’s Degree in Religion is profitable for pastors and ministry leaders who wish to have a firm scriptural undergirding for service in Christian ministry. The program also provides an opportunity for potential advanced studies in one of our Master of Divinity online degree programs, which is a necessary prerequisite for many seminary doctoral programs. What Will You Learn in Your Master of Arts in Religion – Worship? The Master of Arts in Religion – Worship online degree’s mission is for you to work alongside the local church in its quest to fulfill the Great Commission. To ensure quality education to meet the mission, you will be trained in foundational principles of the preparation and presentation of worship, historical application of worship, relationship between the worship leader and pastor, and the principles of leading worship. Our classes will explore planning, organizing, staff development, and decision-making as a worship leader. The Masters in Religion – Worship degree will challenge your character, spiritual walk, and leadership skills to strengthen your worship ministry. Graduates of the Master of Arts in Religion – Worship program will gain an understanding of the relationship between faith and reason as well as expose you to major worldviews that coexist in modern times. The online Master’s in Religion will teach methods of on both macro and micro levels. Students are encouraged to explore and develop an in-depth review of believer’s spiritual lives. Education on ministry success in family and education balance, avoiding burnout, and pursuing internal spiritual formation is gained. This program falls under the Rawlings School of Divinity. Eight-week courses, eight different start dates each year and no set login times. By earning your online Master of Arts in Religion – Worship degree from a nonprofit university whose online programs ranked in the top five of more than 2,100 online colleges and universities for academic quality, affordability, and accessibility, you will be set apart from others in your field. Tuition for all undergraduate, graduate and doctoral programs has not increased in three straight years. While many other online colleges have raised tuition, Liberty has been able to keep costs low as a non-profit university. Students can complete this Master of Arts in Religion – Worship degree program in under three years. Master of Divinity – Christian Leadership and Church Ministries – Liberty University’s Master of Divinity – Christian Leadership and Church Ministries will provide you with an in-depth look at the Christian church by equipping you with the tools and skills to effectively lead in a variety of capacities. Additionally, with an understanding of the ins and outs of ministry, you will be ready to take on a larger role within the church. 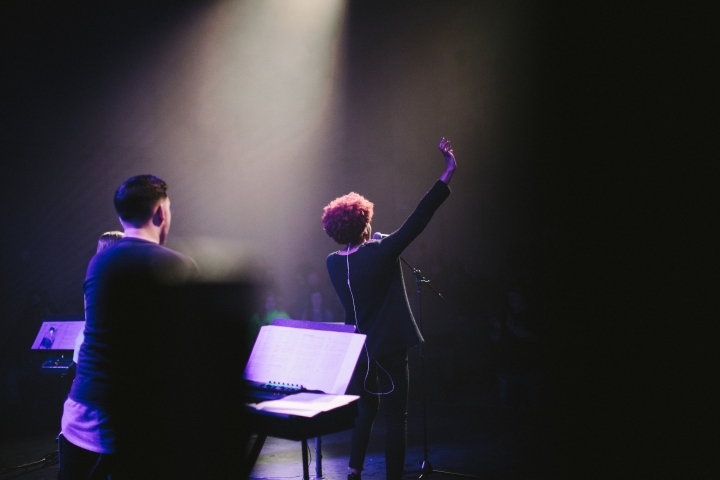 Master of Arts in Worship Studies – The Master of Arts in Worship Studies is designed to equip you to better serve the church as a skilled, passionate leader of worship, equipped to fit the needs of today’s postmodern culture. This specialized program will allow you to study and practice context-specific Biblical and theological competencies in worship and worship theories practical to the local church. Master of Arts in Music and Worship – Master of Arts in Music and Worship will offer you advanced core classes in music, as well as innovative courses in biblically grounded worship. You will be equipped with the knowledge and understanding to practice biblical worship as you actively lead others. This degree will focus on the past, present, and future of music in worship. Applicants must have a regionally or nationally accredited Bachelor’s degree with a 2.0 or above cumulative combined GPA for admission in good standing. A master’s degree or at least 12 graduate credits from an accredited institution may be assessed. Please visit our Admission Requirements Page for more detailed admissions related information.